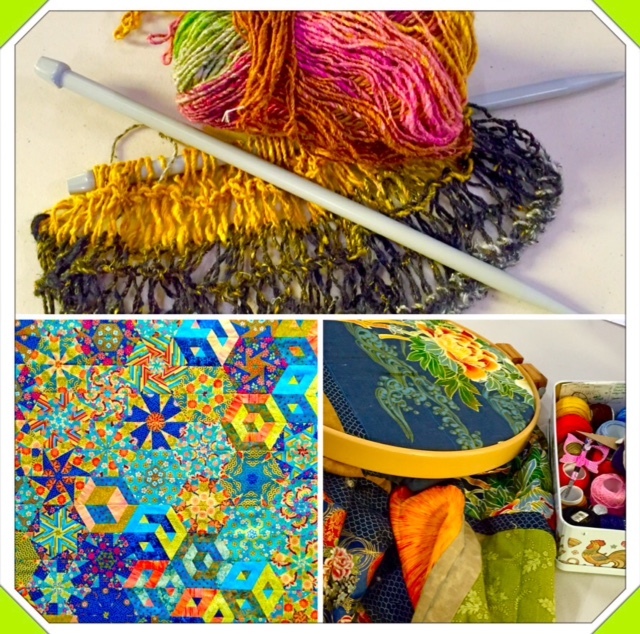 Tuesday | Eastwood Patchwork Quilters Inc. 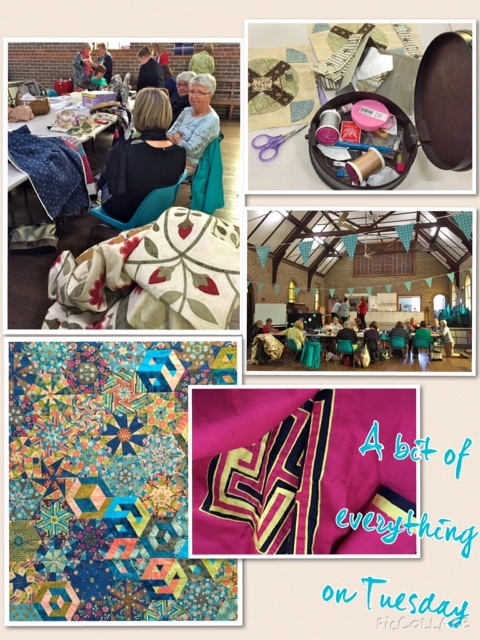 The Tuesday members are always busy having lots of fun with their varied stitching. Here’s a taste of what they have been up to of late. In the picture above you can see Robyn’s stunning applique quilt, Janet’s one block wonder and Louise’s mola patchwork.